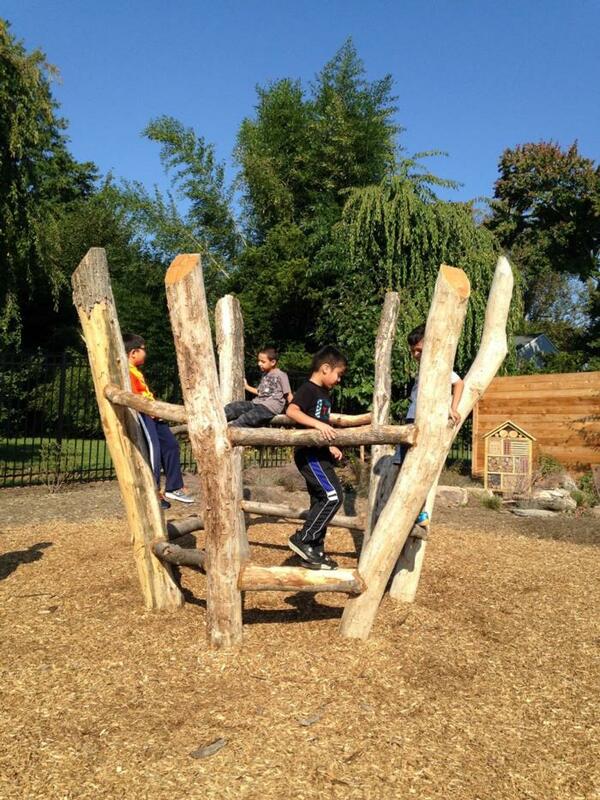 Constitution Gardens Park is the first city park in the National Capitol area with a focus on natural play. 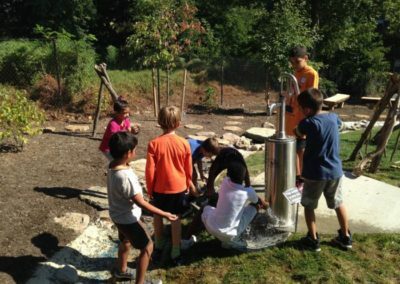 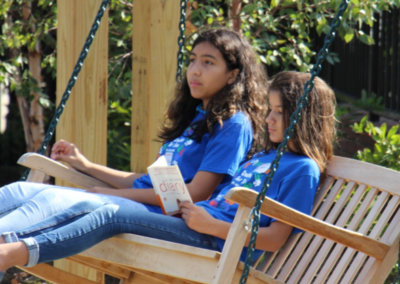 The design of Constitution Gardens Park celebrates the past, present and future of the Gaithersburg community by weaving together threads of sustainability with elements inspired by the cultural and natural history of the area. 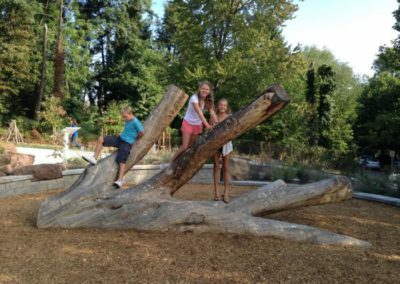 The park is organized in three zones: The front of the park celebrates “Today and Tomorrow” and provides gathering places such as the World Herb spiral, playful bench swings flanked by river birches, and an entry with a millstone fountain and child and adult-sized entry arches. 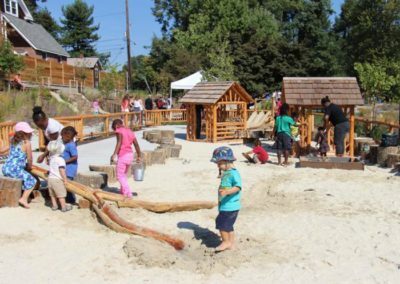 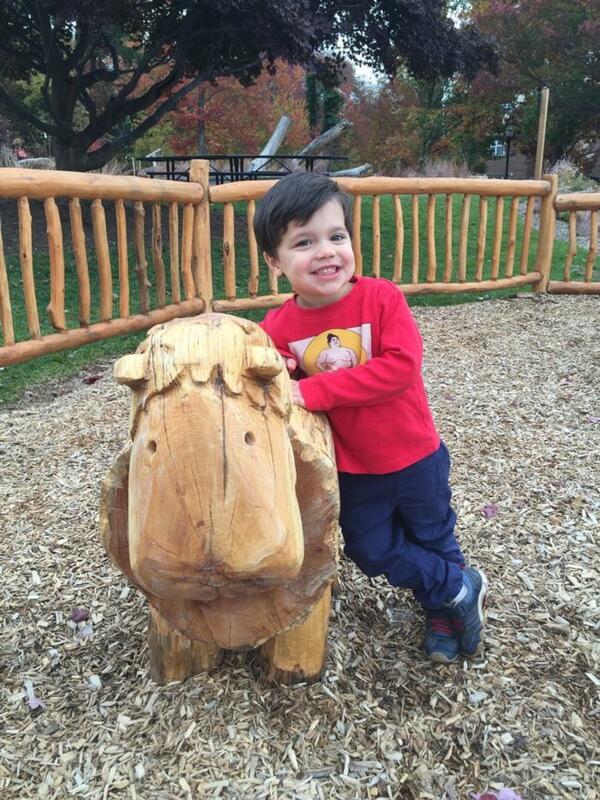 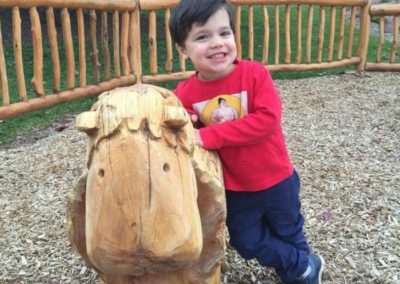 The center of the park is called “Log Town” in honor of the original colonial era name for Gaithersburg, and features a farm-themed play area for preschoolers as well as an arboretum area called Horticulture Hill. 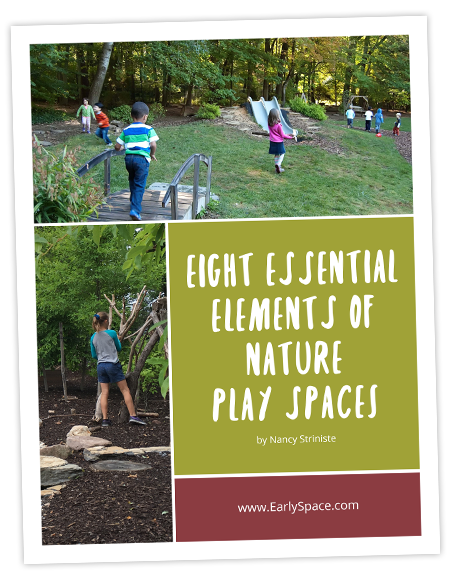 The Northern third of the park celebrates the indigenous people and natural history of the region with giant boulders called Grandmother Rocks, forest plant communities, adventurous play areas for older children and rustic seating. The park features include The Lost Library Storyteller’s circle, a large “bird’s nest” climber, a natural sand play area edged in logs and pickable plants, a pair of log-framed playhouses, a sliding hill with a log scramble, a mosaic stream with a hand pump and a sculptural fallen tree for climbing. 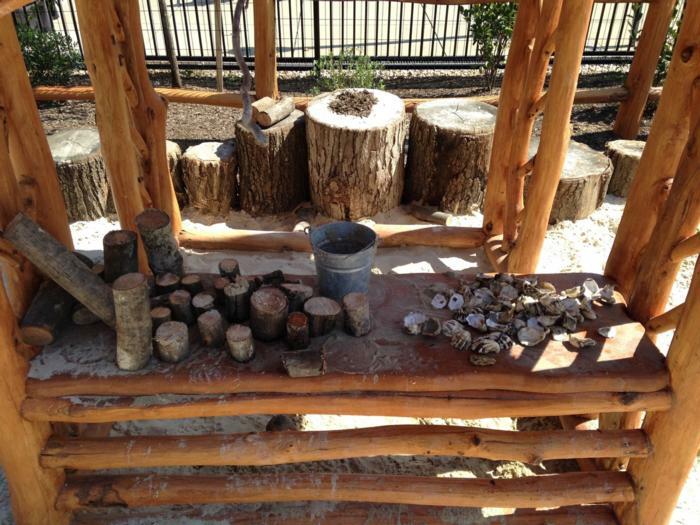 Throughout the park are collections of “loose parts” that support deep, rich imaginative play, creative building, and cooperation among children. 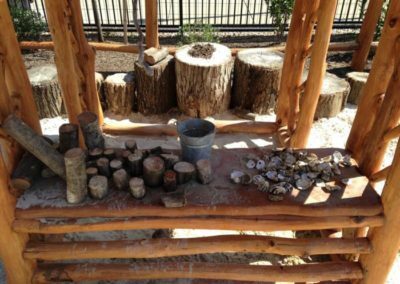 The park encourages visitors to look to the future through artfully integrated, multi-purpose elements of sustainability and low-impact development (LID) best management practices. 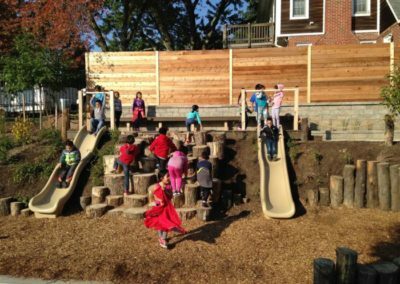 EarlySpace partnered with two other firms for this design/build project. 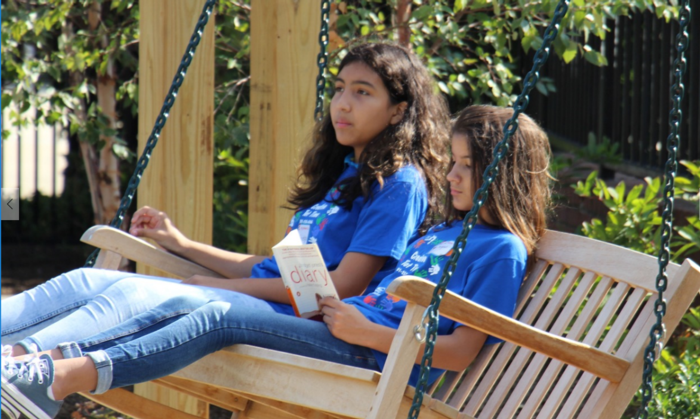 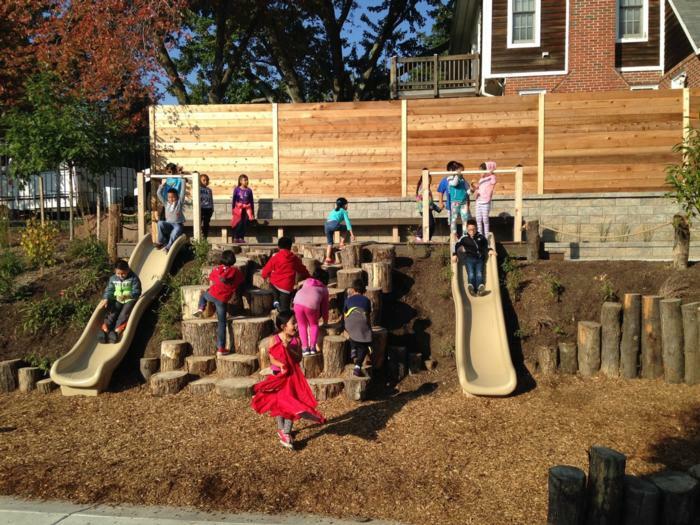 Our principal, Nancy Striniste was the natural playspace specialist on the design team. Click here to watch a video about Constitution Gardens. 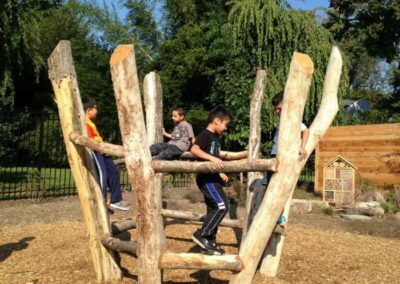 Most of the 900 kids at our school live in apartments and rarely get to play outside. 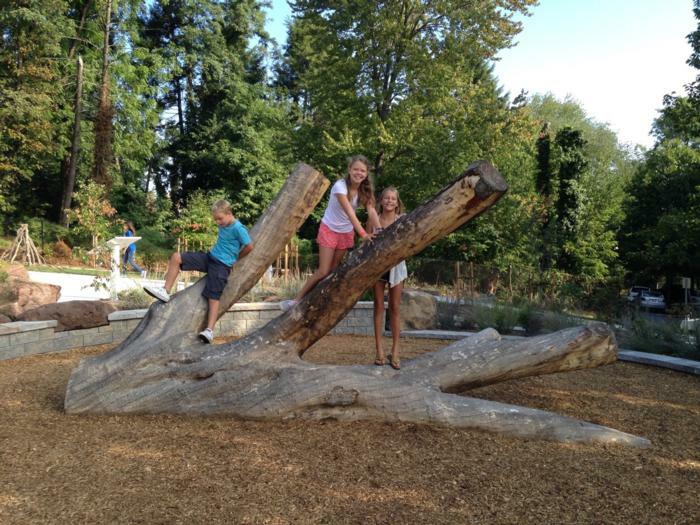 Now that this park is here, our children have trees to climb, swings to ride and forts and sand castles to build!